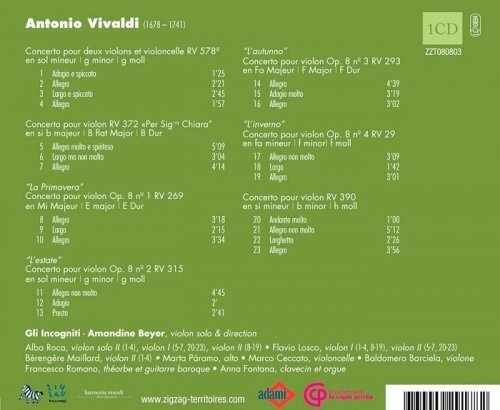 Recorded from 14 to 18 January 2008, Christuskirche (German Protestant Church), Paris (France). 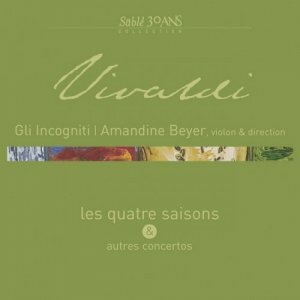 Director and violinist Amandine Beyer acknowledges in her booklet notes for this disc that the world may not seem to need another recording of Vivaldi's The Four Seasons, but then she tops the bar she has set up by delivering an entirely distinctive reading of the work. 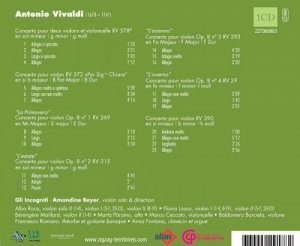 Her version, with the Italian historical-instrument group Gli Incogniti (who are not quite as unknown as all that), is as strikingly revisionist as the various turbo-powered, operatic Vivaldi recordings that began coming out of Italy in the 1990s, but it is different in flavor. In her own words, Beyer seeks "lightweight forces and freedom of phrasing." The group is small, with microphones put down right in the middle, and you hear lots of internal lines and interplay rather than contrast between orchestra and soloist. The overall feel is light and agile; Beyer doesn't so much push the tempo (although there's a little of that) as imbue the solo lines with maximum variety, creating a fantasy-like feel. 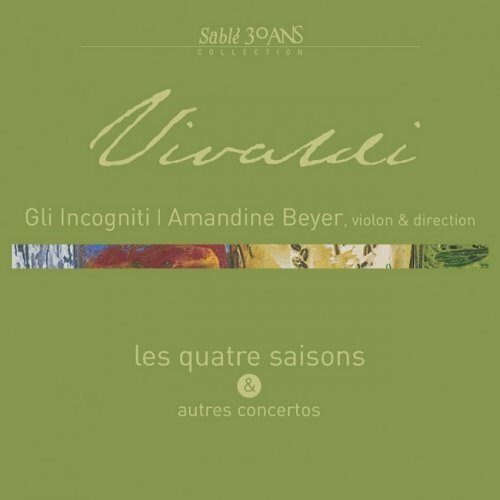 That works quite well with the Four Seasons concertos, which are rendered in a colorful enough way that they evoke many of the images in Vivaldi's accompanying printed sonnets (which would have been a profitable inclusion in the booklet).